esterday we took our HND Graphic Design students out on a little typographic tour of their college town of Tonbridge. We wanted to stress the point that we spend our lives bombarded by messages and thousands of these are typographic. As such the purpose of the walk was to help enable students to reconnect with type at a more conscious level; thinking about its style, location, purpose, context, what it’s made of and whether or not it’s good or bad, etc. 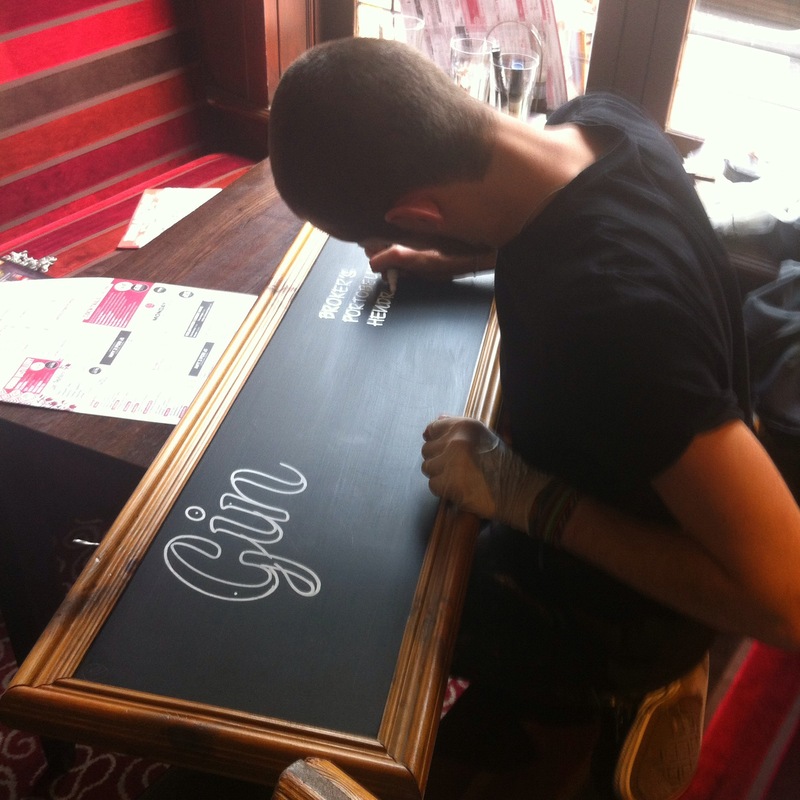 As well as the usual high number of ugly plastic shop signage to be found in every high street we found some little gems, one of which was finding professional sign writer, Ollie Stone, at work in a local pub. It was perfect timing for us but I suspect Ollie was not expecting so much attention! The images collected will form part of their research for a current poster project and next week we’re heading to Bexhill to gather more whilst visiting the De la Warr pavilion.